In the third book, Tally Youngblood has been transformed again, this time to be a Special. She is a human weapon, part of a team of young Specials that seek out the members of the New Smoke. Her team includes Tally’s friend Shay, a friendship that is not without its strain due to past betrayals. Things become complicated when Tally goes to extraordinary measures to ‘save’ Zane, her boyfriend who has not fully recovered from the brain damage he suffered in the events of the last book. 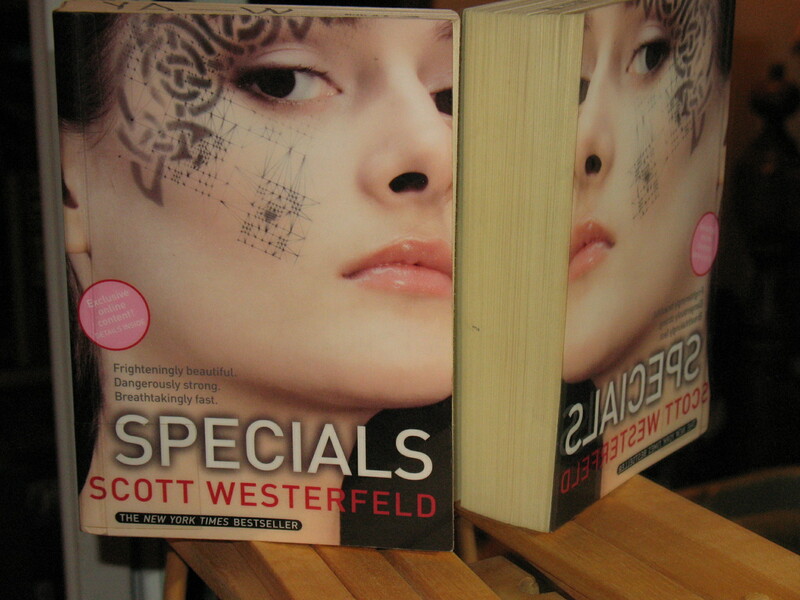 The nature of Westerfeld’s dystopian world and the story is very good , but what has me loving the series, and Specials, is the character of Tally. And Tally the Special is the most fascinating and magnificent version of her yet. The cruel beauty that she has acquired matches the fierceness that she has always displayed. Though I was interested in what happened to Tally’s world and her friends, it was Tally’s destiny that had me flipping the pages to the end. And I think that Westerfeld handled it just right. Apparently there is an alternate ending to Specials, but I don’t want to know what it is, because the ending given is completely satisfactory to me. This was a fun and quick read. 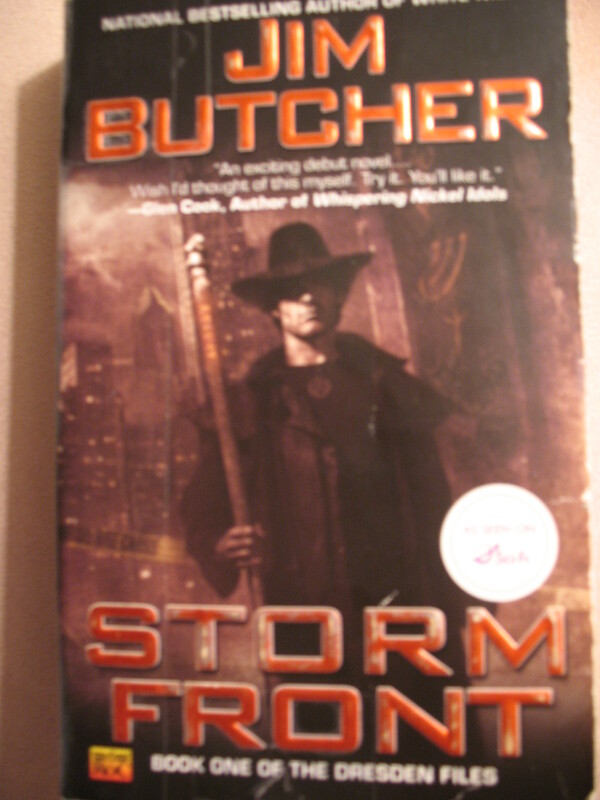 Harry Dresden is a wizard living in Chicago, advertising his trade in the phone book. He’s also a consultant to the police on ‘weird’ cases. When a particularly gruesome and obviously supernatural double murder comes across Harry’s plate, he finds that investigating it may endanger his life. The story is told in first-person by Harry, and he narrates with a heavy dose of sarcastic humor. The secondary characters are all right, though Bob the cranky spirit who lives in a skull in Harry’s lab is a keeper. I’m not sure that this is a series that I will be pursuing with much dedication, but I’ll probably pick them up if I’m in need of a quick read. I have a couple of books waiting to be reviewed, but that can wait until tomorrow. Tonight, I thought I’d bring in my love of films and splice it with my love of books. I chose the following film because the last part of the movie occurs close to Thanksgiving. Saudade is a Brazilian word. It roughly translates into “melancholy” but it also implies a kind of longing for a happiness that is no longer within reach, a kind of home sickness. As Andre the Brazilian musicologist says in the movie, ‘it means sadness and happiness at the same time’ . . . In this movie I wanted to create a character, Erin, who embodied this mixed emotion, this suadade. It is her contentment with solitude along with her longing for companionship that for me makes her journey to find the right man so compelling… and funny. It’s rare to come across a ‘romantic comedy’ type film that respects the value of solitude. What I also enjoy about the film is that Erin is a reader and this aspect of her life comes up several times. 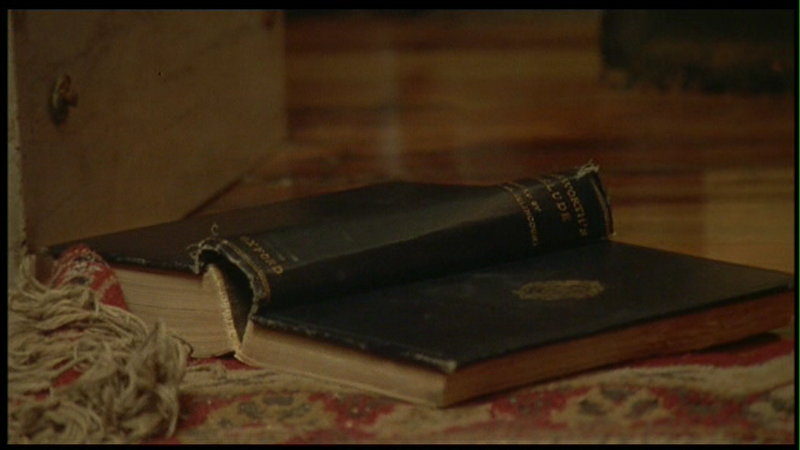 And finally, near the end of the film, we see her pull out a small book of poems written by her deceased father, who was a doctor by profession, and who obviously instilled a love of words in his daughter. The title of this fictitious book is called “Heart Needs Home” and is dedicated to Erin. The books form part of the film’s overarching discussion of destiny, and as such, they uncannily reflect what is going on in Erin’s life at the moment. And I like that about books, that books can be such companions, speaking back to you about your life – perhaps not as presciently as in the film – but communicating all the same. Adding another challenge is probably not wise, but this challenge is so whimsical in spirit, I can’t resist. Besides, most of these books were already on my sizeable to-be-read pile, so this is just a creative way of choosing which ones from that list will be read in the near future. Level: All participants read 9 books, with different colors in their titles. Edit: Certain colors were required but now it’s opened up to reader’s choice for all colors. 2. Blood Meridian: Or the Evening Redness in the West by Cormac McCarthy – I’ve been meaning to read another book of his since I liked The Road. 6. The Book of the Dun Cow by Walter Wangerin, Jr. (also reading for the Flashback Challenge). Dun is a brownish-grey according to wikipedia. 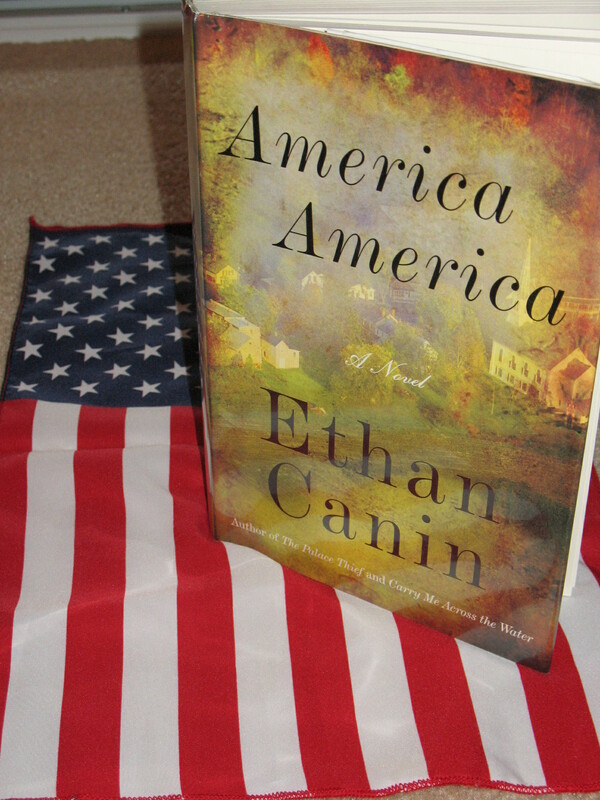 America, America by Ethan Canin. I liked, but did not love, America, America. This distinction is largely due to the fact that a substantial portion of the book is about political campaigning, and that’s just not a topic that I have found interesting in fiction. However, I don’t want to be reductionist and say that America, America is just about politics, because it certainly isn’t. Indeed, the book carries many themes, which I’ll touch on a little later. The novel is a coming-of-age story about a teenager named Corey Sifter, whose hard-working attitude draws him to the attention of the Metarey family. Almost every town has its equivalent to the Metarey family, the family whose industry employs most of the townspeople – sort of a ‘patron’ family of the town. Corey is soon employed to help around the Metarey estate. When Mr. Metarey becomes the strategist for fictional Sen. Bonwiller’s presidential campaign, the Metarey estate becomes a hub of campaign activity. And so the coming-of-age story is grounded in 1970’s politics. The fallibility of adults, the reality of the world – these are revealed to Corey in the events that comprise the rise and fall of Sen. Bonwiller. There are ruminations on what makes a good political leader, on the matter of legacy. Other themes include the nature of families, reflections on history and the role of journalism. The story is told from the perspective of a much older Corey Sifter in 2006, now a newspaper publisher. This present-day narrative focuses on his mentorship of a young high school intern. Other parts of Corey’s life are also interspersed – slices from his college years, mostly. I liked Canin’s writing. I particularly loved this one technique he used. The story is told in first-person and mostly he is telling it to us, the readers. But sometimes, a section will start off and you will think it is directed to us, and then suddenly another character will respond to the narrative. It wasn’t being told to us at all, it was being told to this other character. It was a clever stylistic choice, kind of like in movies, where you’ll think a character is speaking to someone else, but they are really speaking to themselves. I also grew quite fond of some of the minor characters, like Corey’s mom and especially his neighbor, Mr. McGowar. Mr. McGowar can barely speak due to a health condition, so he writes on a pad of paper. Sometimes what he says is pithy and funny, sometimes it is poignant. Some of the best moments involve his character. Overall, I’m glad I went outside of my particular topical interests and read this book. Has anyone read it or any other work of Canin’s? I’ve immersed myself in book-blogging for these past couple of weeks and have learned about various cool challenges that I have decided to join. My personal 2010 challenge (19 books older than I am) is my first priority, but I think I will be able to complete a few additional challenges on top of that. I rarely read poetry anymore, so this is a good challenge for me to branch out. I’m very excited about this one and may go beyond my level, depending on time. 4. The Book of the Dun Cow by Walter Wangerin, Jr.
Level: All participants read 12 thrillers. Some of my most fun reading experiences this year were thrillers, so I want to continue to explore this genre. The number to be read daunts me a little because I don’t read near as many books as other bloggers, but fortunately thrillers are usually page-turners and thus are quick reads for me. I will fill the spaces as I choose books and then also mark which ones have been read once I get started. As I didn’t start this blog until November 5th, this will be the first of several posts where I will write reviews of the books I read from January 2009 to October 2009. There are some great books that I’ve read this year so have your TBR list handy! The year started out slowly, as far as the number of books read in a month. Summer vacation saw a revival of voracious reading that toned down only slightly with the return of work. 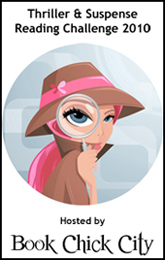 The book started off well – entertaining and thought-provoking – but it went downhill toward the end. 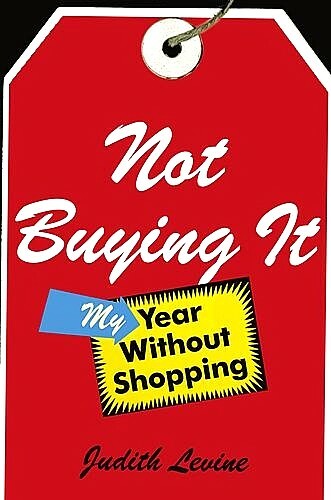 The year without shopping happened to be 2004. As the election drew nearer, the book became an outlet for self-righteous political venting which Levine could barely connect with the original premise of the book. And to be clear, my criticism is not due to the content of her venting, but to the way she expressed it. She writes as if everyone reading her book will believe exactly the way she does. So, the more I read, the more I started to dislike the author, at least the part of her that she revealed in the book. With an apartment in New York City and a home in Vermont, it was always going to be hard for her to convey to us that she was “roughing it” by not buying anything. And then she goes and scuttles the book by straying off into tangential, obnoxious territory. I skimmed the last fifth or so of the book as a result. And now we jump to one of my favorites of the year. In the present day, a scholar tries to figure out why a German village called Oberhochwald was never resettled after the plague, unlike all other towns like it. The majority of the book takes place in Oberhochwald in the year 1349 and we learn why this village was an anomaly. An alien ship crashes into the Black Forest near the village. From the perspective of the educated village priest, we watch as the villagers and the aliens interact. The premise may sound silly, but the story is actually quite serious. 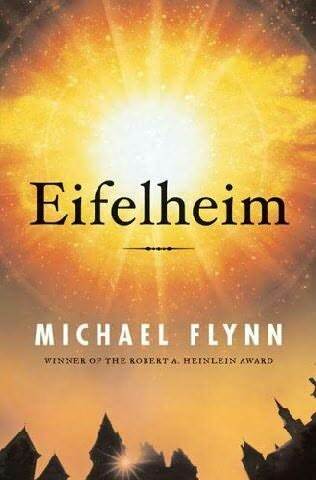 It’s an excellent mix of historical fiction and sci-fi. The villagers and the priest view the aliens through their medieval worldview that is steeped in superstition, religion, and limited technological knowledge. The aliens, coming from a highly hierarchical culture, are intrigued by the differing values of the human society. But danger besets aliens and humans alike as winter sets in and the plague encroaches. The story here is incredible and surprisingly and deeply moving. The book is well-researched and the village comes alive as a result. The only flaw consists of the boring and sometimes incomprehensible interludes with the present day scholars, but fortunately the majority of the book belongs to Oberhochwald. Last year, at age 25, I became a car owner for the first time. I had had my license since I was a teenager, but driving my own car around in the D.C. metropolitan area brought traffic into a new focus. I had to figure out the best ways to merge on the Beltway, how to avoid gridlock, and all sorts of urban driving skills I had not acquired when learning to drive in rural Maine. 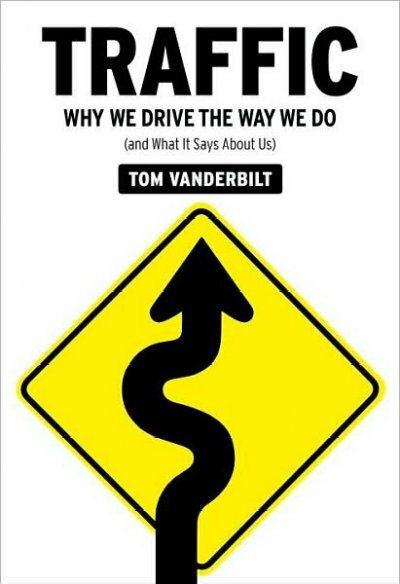 So when I heard about Vanderbilt’s book, Traffic, I knew it was something I’d enjoy reading. The book basically tells readers that we are not as good drivers as we think we are. It talks about how road engineering can change the way people drive. There are some cool engineering experiments taking place over in Europe that the author observes and explains. He talks about how traffic differs in cities around the world and gives examples. It’s a book that definitely provokes thought as to how we could make driving safer. So many people die in car accidents every year, but it seems as a society we have accepted this cost too easily. Traffic is worth picking up even if you don’t have the time to read the whole thing: even reading a few chapters will give a greater self-awareness while driving.